Site app 949 sq m with planning permission for 4 bedroomed dwellhouse. House can be constructed by the vendor, and choice of kitchen and bathrooms offered to the client. Services available. Price over £160,000 Entry by arr. Viewing go along to site. Viewing go along to site. 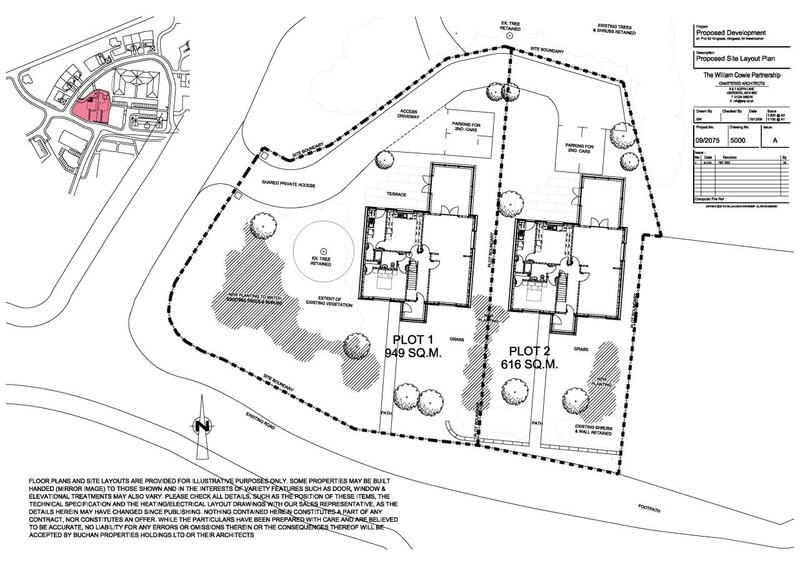 Description We offer for sale this serviced plot with planning permission for a 200 sq metre, 4 bedroomed house, situated on a private area of land within the main Kingseat Housing Development on the site of the former Kingseat Hospital, on the outskirts of Newmachar. The site extends to approximately 949 sq metres and gas, electricity, water and drainage are ready for connection. It should be noted that if desired, the house could be constructed by the vendor, and a choice of kitchen and bathrooms offered to the client. Location Kingseat is an expanding residential development of executive homes, situated on the former site of Kingseat Hospital, within easy reach of the village of Newmachar, and within easy commuting distance of Aberdeen and the airport. Directions Leave Aberdeen on the A96 towards the airport, turn on to the A947, and pass through Dyce. On entering Newmachar, turn right on to the B979, Hillbrae Way, continue to the top of the hill, turn right and follow the signs for Kingseat. Turn right at the old Lodge House and the sites are situated on the left hand side.